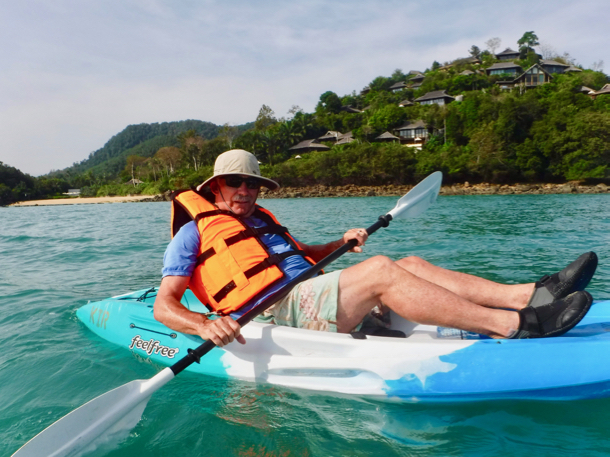 Getting some kayaking done at Phang Nga Bay | Who Da Thunk? After breakfast, the Adventurers decided to take two of the sit-on-top kayaks out for a paddle around Phang Nga Bay. There was a bit more chop than they’d seen on other mornings but that wasn’t the challenge. It was really hard to get comfortable on the boats. L managed to do so by sitting up and leaning forward; D never really did find a good position. 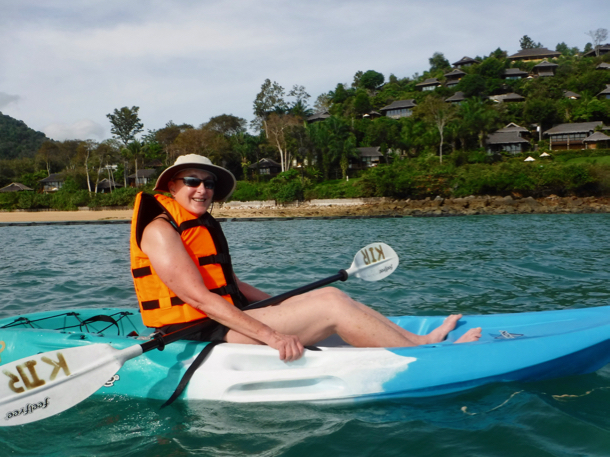 This entry was posted in Paddling, Thailand adventure and tagged Koyao Island Resort, Phang Nga Bay. Bookmark the permalink.